Recently, he collaborated with J.A. Konrath on two books that feature Konrath's best-selling Lt. Jack Daniels characters and Schaffer's own Superbia series. A lifelong resident of the Philadelphia area, he is the proud father of two children. 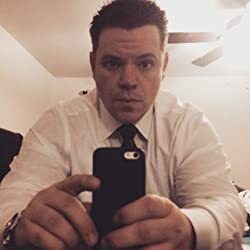 In addition to writing and publishing, he is a decorated police veteran detective and expert witness in narcotics distribution. In the late eighties, Schaffer was a child actor who appeared on stage and screen, including starring in the Nickelodeon series, "Don't Just Sit There." Please enter your email address and click the Follow button to follow Bernard Schaffer! WOMEN AND OTHER MONSTERS is the first short-story collection of supernatural thrillers from Bernard Schaffer. A mix of genres and twisted, captivating, realities. Seventeen short stories, from the author of THE THIEF OF ALL LIGHT. Science fiction, horror, nerve-wracking thriller, and much, much, more! The Grand Finale. The final episode in the first Grendel Unit adventure. The team has been stranded on a distant planet. Defenseless. Injured. Hunted by Unification. It is kill or be killed in the thrilling last episode of the first Grendel Unit saga, and it's Automatic for the People!